Learn about the reduced subgrade strength design method. This course is intended for civil and geotechnical engineers and other design and construction professionals wanting to learn how to design rigid and flexible pavements where seasonal frost conditions exist. This course will give design and construction professionals an introduction to special design methods to employ when designing pavements for roads, parking and open storage areas where climatic conditions include seasonal frost. 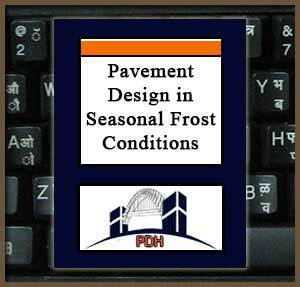 This course provides introductory information about evaluation of soil conditions, selection of materials, and design methods for pavements in seasonal frost conditions. This course will give you professional tools that will help you to understand the special technical and design considerations to use in pavement design in cold regions where frost conditions are a factor.